Basically, women clothes store more than men clothes shop in everywhere. 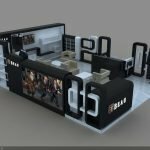 We can see different styles of clothes store display showcase interior decorate in a different level shopping mall or street. Usually, more pretty and fashion clothing shops in the upscale mall. 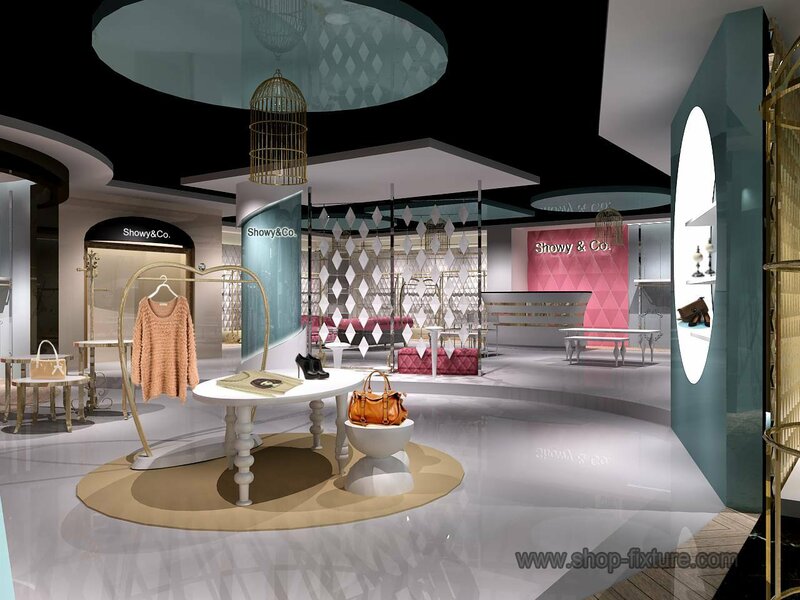 Design a nice clothes shop is not easy, not only design the shop according to the customer’s requirements and favorite styles, but also designer add extra elements to match the whole style and theme of customer’s shop. After that, the customer will come up with his own revise points until we confirm the design. So a professional designer is very important in the whole project. 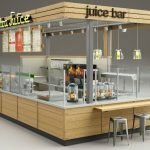 We have a professional design team to help our customers design new shops and add proper good ideas in shops to make it more attractive and fashionable. Such as below beautiful clothes store display showcase decoration. From the overall tone matching, it is great—-weak color. It shows the whole shop elegant and special. 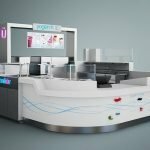 The successful points of this clothes shop design are the whole layout, style of display showcase, display shelves, showroom, transparent screen, unique ceiling shape, waiting area with soft sofa, walls and so on. Also, you can see the designer noticed to color matching, such as pink background wall match the pink sofa.